Sophie Morel received her PhD from Université Paris-Sud in 2005 under the supervision of Gérard Laumon. Her thesis, Complexes d'intersection des compactifications de Baily-Borel - le cas des groupes unitaires sur Q is an important step forward in the Langlands program. She develops a theory of weight truncation on varieties over finite fields with which she derives a simple description of the intersection complexes on the Baily-Borel compactifications of certain Shimura varieties over finite fields. From this in turn she obtains a formula for the trace of the Frobenius endomorphism on the Euler characteristic of the intersection cohomology. 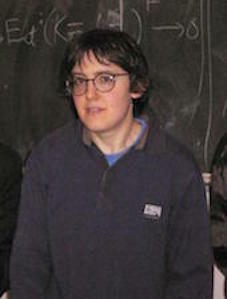 Sophie was appointed as a Clay Research Fellow for a term of five years beginning October 2006.